A lovely, sensual, responsive Italian lady. There is no other way of thinking about Pininfarina's Fiat 124 Spider. It's time you knew it. Like women to dream about, the really good Italian cars always had a mysterious irrestibility and an eagerness to please. Somehow, they seem to exist solely for the pleasure of their drivers. 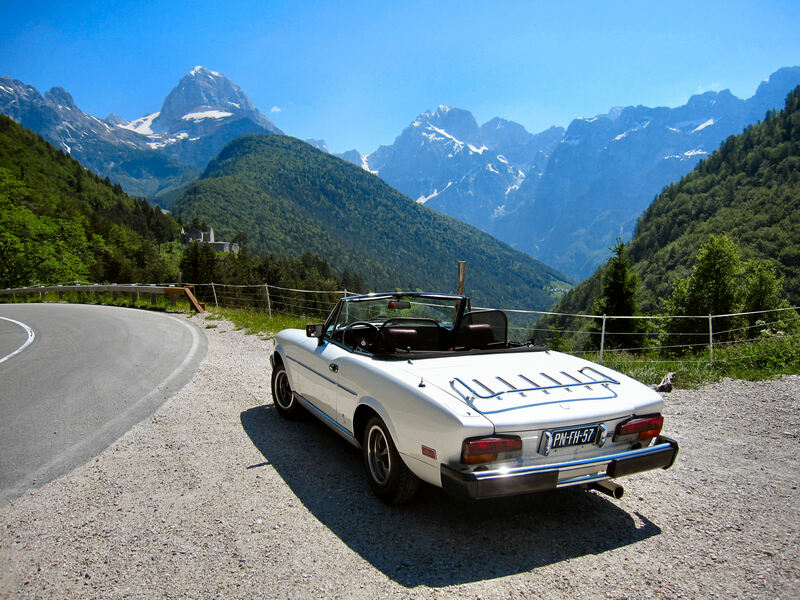 Where there are moments of tight-jawed hardship with the British cars, all is sweet willingness with Italy's 124 Spider. We see the Fiat 124 Spider as a milestone -the beginning of the end of the hardship sports car. It's the only machine in its class in which we'd enjoy taking a long trip. The lovely, sensual, responsive pictures were made by photographer Adam Rindy and are published on the automotive section of the extensive web site of the French Telecom and Internet provider ORANGE. WHO IS THE LOVELY, SENSUAL, RESPONSIVE ITALIAN LADY !